Since the calls of the Second Vatican Council, Roman Catholic theologians have sought to overcome an overarching problem facing Jewish–Christian relations, the concept of "supersessionism"; the idea that God has revoked the spiritual and historical promises made to the Jewish people in favour of granting those same privileges to a predominantly Gentile Church. Israel, the Church, and Millenarianism breaks new ground by applying an ancient principle to the problem of Israel’s "replacement": the early Church’s promotion of millennialism. 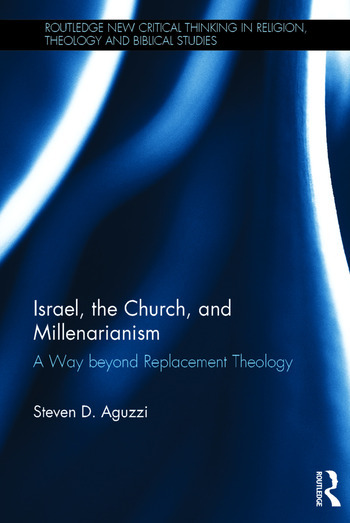 Utilizing the best in Patristic research, Aguzzi argues that these earliest Christian traditions made room for the future of Israel because Christ’s reign in the Church was viewed as provisional to his historical reign on earth—Israel’s role in salvation history was and is not yet complete. Aguzzi’s research also opens the door for a greater Catholic understanding of the millennial principle, not shying away from its validity and relevance for understanding the importance of safeguarding Jewish particularity, while concluding that the Synagogue and the Church are indeed on a parallel trajectory; "…what will their…[Israel’s]…acceptance be but life from the dead?" (Romans 11:15). Ultimately, the divine will is fulfilled through both Christian and Jewish means, in history, while each community is dependent, in different ways, upon the unfolding of God’s future and the coming Parousia of Christ. 7 Millenarianism: Creeds, Ecumenical Councils, and Heresy? Steven D. Aguzzi is an ordained minister in the Presbyterian church, and on the adjunct faculty of Duquesne University’s theology department. He earned his PhD in Systematic Theology from Duquesne University in December of 2013, with a research specialization in Jewish–Christian comparative theology. He is widely published on the topic of supersessionism and Jewish–Catholic relations, particularly in ecumenical journals, and his work is constructive in its attempts to utilize traditional eschatologies in an effort to express a Christian theology that takes Judaism seriously, on its own terms. Aguzzi also holds an M.Div from Princeton Theological Seminary, with specializations in comparative theology and ecumenical ecclesiology. Aguzzi has established ecumenical relations in the Pittsburgh area, and speaks nationally on the topic of post-Shoah, post-replacement theology.